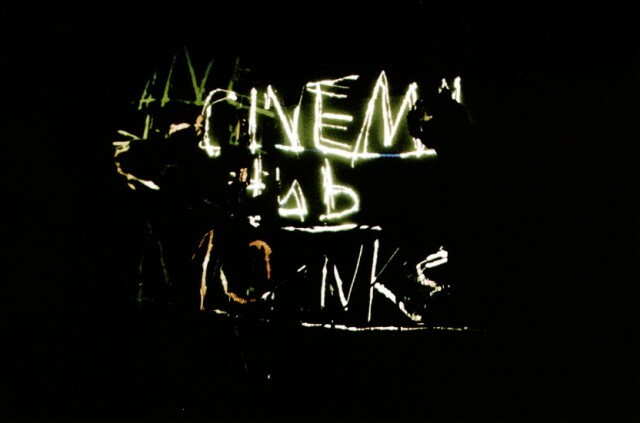 CINEMA dub MONKS is the duo of Daiho Soga (flute, harp, tape recorder, and more) and Gandhi Nishigaki (contrabass), formed in Okinawa in 1999. The sound consists of improvisational duets of flute, acoustic bass, melodica, tape-recorder, and more – layered with field recordings from places they have visited. The visual element includes projections of photos taken at these same sites. This audiovisual layering creates a live and spontaneous cinematic experience. CINEMA dub MONKS have toured Europe five times with stops including Barcelona, Lisbon, Berlin, and Paris. They have performed at many large music festivals including SPOKO (Barcelona) and venues such La Paloma (Barcelona) and the Centre de Cultura Contemporània de Barcelona. Both their live performances and recorded works have attracted a large international audience. Japan’s largest outdoor rock festival. Their performance received a warm reception with tremendous applause. On the international scene, they have received various artists’ attention and support. They were nominated for Gilles Peterson’s “World Track of The Year” in 2003. Jamie Cullum has named them as his favorite Japanese artists. Manu Chao gave them highest praises at a performance in Barcelona.